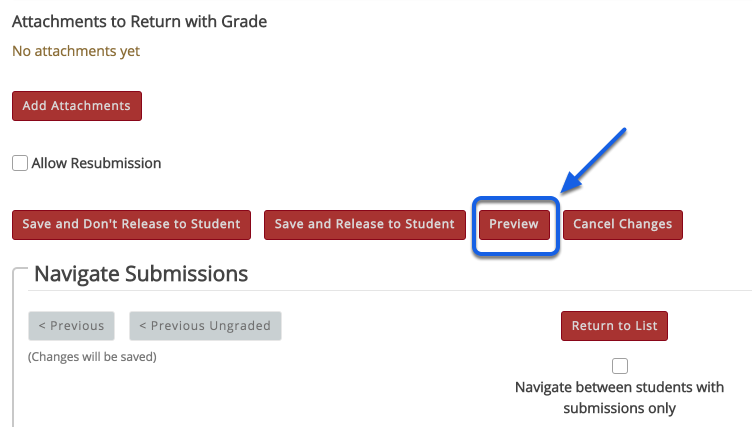 If you create an assignment via the Assignments tool students can add media to their submission by clicking on the Kaltura icon within the Rich Text Editor. When a student uploads media into an Assignments submission it creates a clone of the media and that is what you as the instructor sees. If the student then makes changes to the original, these changes will not be reflected in the submitted copy. Please make sure that you emphasize this to them. How Do You View The Media? If a student has uploaded the file into the Kaltura Media Gallery it will not be automatically visible to all students. The instructor has moderator rights and will need to approve each entry before it becomes visible to other students. 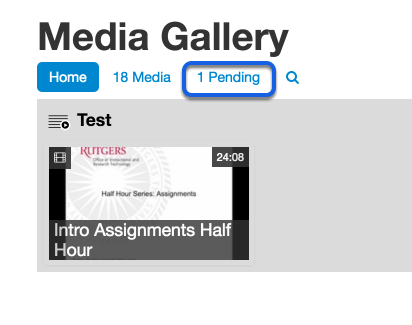 Click on the Pending tab to see all media that is waiting for instructor approval. As the instructor you will be assigned a moderator role in the Media Gallery of your course site. When students upload content you will have to Approve or Reject the submissions. Only approved submissions will be visible to site users. Students also have Kaltura My Media in the My Workspace area of their Sakai instance. This is where they can create their media. Please view this article to review Media Creation. They can upload to the course's Media Gallery through their Kaltura My Media. Is Media Gallery is Visible? Unless the Media Gallery has been made visible to the students only the instructor will be able to see the media. Once the Media Gallery is visible anyone added to the site will be able to view approved media in the Media Gallery. You will know whether a tool has been made invisible to students because it will appear greyed out as in the Adobe Connect tab in the following image. Visibility can be changed in Site Info -> Tool Order -> Click on Settings icon to the right of the tool name.